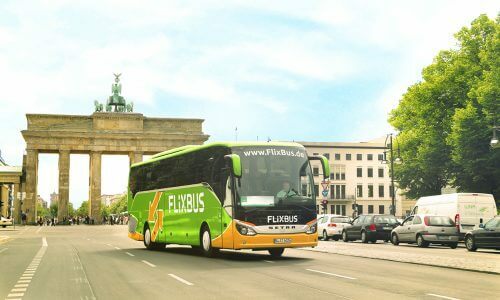 After another year of rapid growth, FlixBus, which is now calling itself FlixMobility, has become the largest coach provider in the world in terms of network reach. It’s connecting people across 29 countries with over 350,000 daily connections in Europe and the United States, a 40% year-over-year connection increase. Additionally, in 2018 the company launched FlixTrain in Germany to complement the existing coach network as well as the first ever all-electric coach on long distance routes in France and Germany. “While we are only five years into writing FlixMobility history, each year we push the envelope farther,” said André Schwämmlein, founder and CEO of FlixMobility. “In the last year alone, we brought our services across the ocean in the United States, we launched green FlixTrains on tracks in Germany, we put the first all-electric bus (coach) on long-distance routes in France and then Germany, we started national networks in Poland, Sweden and domestic connections in Belgium and Switzerland and launched countless innovations inside our buses (coaches) and trains. Thanks to a business model in which FlixMobility handles the technology development, network planning, yield management, operations control and marketing while SME (Small and Medium– size Enterprises) partners manage the day-to-day operations of the coach and train fleets, FlixBus continues to focus on innovating the traditional transportation landscape. In 2018 alone, FlixMobility launched integrations with Apple Pay, Google Pay and Google Assistant, brought free onboard virtual reality to coaches in and out of Las Vegas and rolled out in-house tech creations such as seat reservations and the ‘Where’s My Bus?’ live tracking feature.